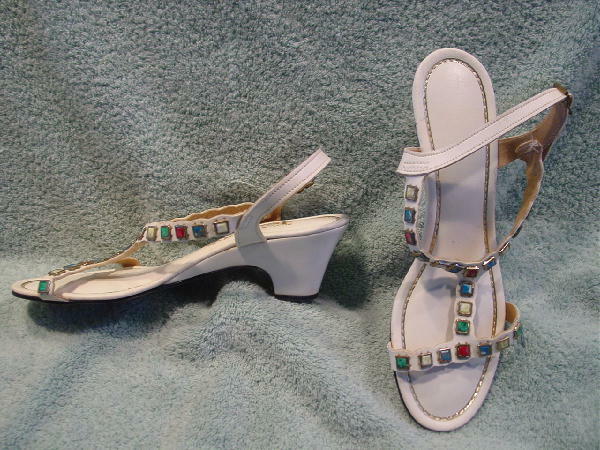 These offwhite manmade sandals have a T strap styling with an adjustable heel strap. 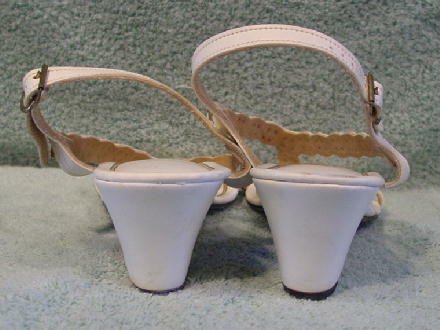 The footbed is padded and has a gold lame thread edging. 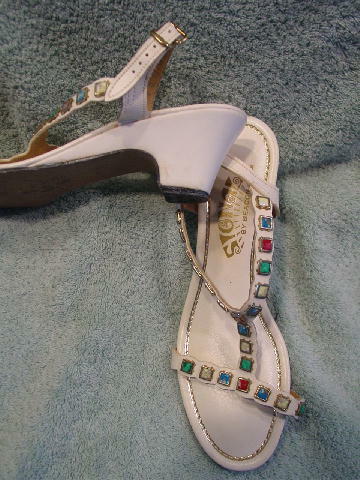 The straps (except the heel strap) have little squares with faux stones in various colors that are edged in gold-tone holders. There are some dark scuff marks on the heels and toe areas of both shoes, and the left shoe has some yellowish marks (probably from the adhesive used in manufacture) on the outer side of the shoe and heel.